Dr. Joy is a Board-Certified Neurologist who has been with the practice since 2010. He completed his residency at Virginia Commonwealth University (VCU). During his time at VCU, he served as Chief Resident and received the Arnold P. Gold Humanism and Excellence in Teaching award. Dr. Joy completed a clinical electrophysiology fellowship with training in electromyography (EMG) and electroencephalograph (EEG) at VCU. In addition, he participated in multiple stroke research studies during his training. 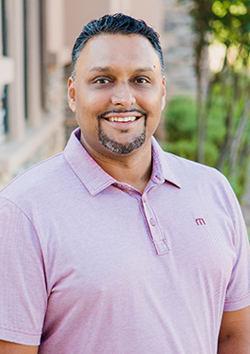 After moving to Arizona, Dr. Joy became a member of the stroke team at Mercy Gilbert Medical Center. He is also a Clinical Preceptor teaching medical students from Midwestern University and A.T. Still University.